Goodman Theatre presents The Sign in Sidney Brustein’s Window by Lorraine Hansberry, the famed author of A Raisin in the Sun and one of Chicago’s first great playwrights. Obie Award winner Anne Kauffman directs this major revival of Hansberry’s final work, which premiered on Broadway just three months before her untimely death in 1965 at age 34. The Sign in Sidney Brustein’s Window follows Sidney Brustein in Greenwich Village, 1964: a magnet for ideals and activism of every stripe. At its center is Brustein’s apartment, the gathering place for an eclectic group of bohemians during a time of rapid change. As Sidney gets increasingly swept up in the radical issues of the day, however, he ignores the equally dangerous tension mounting between himself and his wife Iris, the one person he holds most dear. The production is the centerpiece of The Lorraine Hansberry Celebration throughout the month of May curated by Resident Director Chuck Smith. The Sign in Sidney Brustein’s Window runs April 30 – June 5, 2016. Opening Night is Monday, May 9. Tickets ($25-$75, as well as special $10 student tickets), are on sale now; visit GoodmanTheatre.org/TheSign, call 312.443.3800 or purchase in person at the Box Office at 170 N. Dearborn. Goodman Theatre Women’s Board is the Major Production Sponsor, Edelman and ITW are Corporate Sponsor Partners, and WBEZ 91.5 is the Media Partner. Casting update: Chris Stack appears in the role of Sidney Brustein. As previously announced, the cast also includes Diane Davis (Iris), Travis A. Knight (Alton), Kristen Magee (Gloria), Miriam Silverman (Mavis), Phillip Edward Van Lear (Max), Guy Van Swearingen (Wally O’Hara) and Grant James Varjas (David). In a New York Times piece days before the 1964 premiere, Hansberry described the play as “a genuine portrait of the milieu.” The politically prescient and powerful work by an iconic American playwright, The Sign in Sidney Brustein’s Window eerily reflects today’s political climate, including Sidney’s warning, “The world is about to crack right down the middle. We’ve gotta change—or fall in the crack.” Hansberry’s heartfelt and perceptive play holds a mirror up to the injustice and corruption of the contemporary world. The production’s design elements capture the New York energy of a world under constant construction. Kevin Depinet’s mostly realistic set will appear to float above the stage by opening the trap room below Sidney’s apartment and utilizing Justin Townsend ’s light design to illuminate the empty space beneath the apartment’s floor. The set’s verticality also includes an elaborate maze of scaffolding above the apartment to allow for the dreamscape moments of the play. The design team also includes Alison Siple (costumes) and Mikhail Fiksel (sound). Briana Fahey is the production stage manager. May 28, Touch Tour Presentation – 12:30pm; a presentation detailing the set, costume and character elements; Audio Described Performance – 2pm; the action/text is audibly enhanced for patrons via headset. June 4, Open Captioned Performance – 2pm; an LED sign presents dialogue in sync with the performance. Born in Chicago, Lorraine Hansberry made history in 1959 as the first African American female playwright to have a work produced on Broadway with A Raisin in the Sun. The play’s success led Hansberry, at age 29, to become the youngest American playwright, the fifth woman and the only African American to win the New York Drama Critics Circle Award for Best Play of the Year. In addition to earning a Tony Award nomination for the play, Hansberry wrote the screenplay for its 1961 film adaptation, which won a special award at the Cannes Film Festival and earned Hansberry a Writers Guild of America Award. 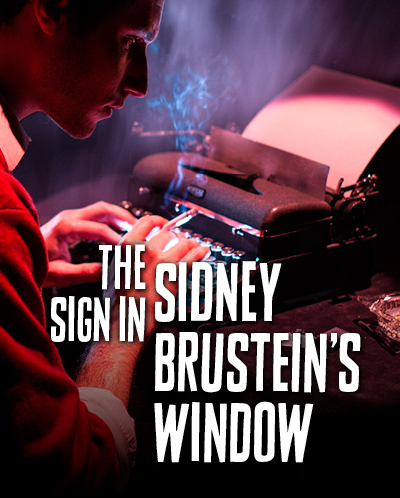 Her second play to be produced on Broadway, The Sign in Sidney Brustein’s Window, was in its early run when Hansberry died of cancer at age 34 in 1965. To Be Young, Gifted and Black, an autobiographical portrait in her own words adapted by her former husband and literary executor Robert Nemiroff, was posthumously produced in 1969. In 1970, Les Blancs, her play about African colonization, ran on Broadway to critical acclaim. At her death, she left behind file cabinets holding her public and private correspondence, speeches, journals and various manuscripts, including an almost complete novel. Her published writings also include The Drinking Gourd; What Use Are Flowers? ; and The Movement, a photo history of the civil rights movement. Obie Award-winning director Anne Kauffman’s production highlights include Smokefall at Goodman Theatre; You Got Older with P73; The Nether at MCC; Somewhere Fun at Vineyard Theatre; Your Mother’s Copy of the Kama Sutra, Detroit and Maple and Vine at Playwrights Horizons; Belleville at New York Theatre Workshop, Yale Repertory Theatre and Steppenwolf Theatre Company; Tales from My Parents’ Divorce at the Williamstown Theatre Festival and The Flea Theater; This Wide Night at Naked Angels; Becky Shaw, Cherokee and Body Awareness at The Wilma Theater; Slowgirl and Stunning at LCT3; Sixty Miles to Silver Lake with Page 73 Productions at Soho Rep; God’s Ear at Vineyard Theatre and New Georges; The Thugs at Soho Rep and the musical 100 Days at Z Space. Kauffman is a recipient of the Joan and Joseph F. Cullman Award for Extraordinary Creativity, the Alan Schneider Director Award and several Barrymore awards. She is a program associate with Sundance Theater Institute, a New York Theatre Workshop Usual Suspect, a member of Soho Rep’s Artistic Council, on the New Georges’ Kitchen Cabinet, an alumna of the Lincoln Center Directors Lab and the Drama League, a founding member of The Civilians and an associate artist with Clubbed Thumb.